When you need a Margate Slip and Fall Attorney that is reliable, call Robert Gluck at the Law Offices of Robert E. Gluck, P.A. 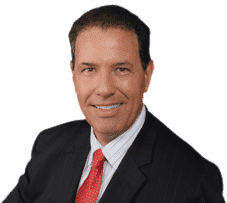 Since becoming a lawyer in 1989, he has been helping clients like you who have been injured in a slip and fall accident. Whether you've fallen on a residential or commercial property, he will be able to provide you with the legal representation you need. Margate Slip and Fall Attorney Robert Gluck has the experience and resources to build a strong case for you and make sure you receive the financial compensation you deserve for your injuries. He will fight hard to prove someone else was at fault for your slip and fall and make sure they pay for your medical expenses and recovery. Robert Gluck is a Margate Slip and Fall Attorney you'll want on your side when you're going through the process of your case. He will open a thorough investigation into your accident and gather all of the evidence he will need. He will obtain any available video surveillance, locate and speak with witnesses, take photos of the accident scene, and find any other necessary evidence. With your Margate Slip and Fall Attorney, you will feel confident knowing you're in great hands. Studies have shown seeking legal representation may get you a higher compensation than if you try to handle your case on your own. You shouldn't have to go through this difficult ordeal by yourself. We will be there for you from beginning to end.